It’s been an all-round winner really! 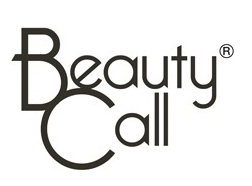 Beauty Call provides professional, mobile, local hair and makeup artists for weddings and events all over the UK. They offer quality work at competitive prices - and with a wealth of experience they promise to stay calm under pressure and make you look amazing! Why did you join Perkbox? Initially, it started as something to reward our team with; we wanted to thank everyone for their hard work throughout the year. It has subsequently become much more and has helped both the team and the company as a whole: the team love the financial savings they can make and it has helped the company foster an identity and create the atmosphere of being a team. What are your favourite perks? As our team are all make-up artists, they are particularly interested in the FeelUnique discounts for their beauty purchases. The free phone insurance and discounted cinema tickets go down a treat too! We appreciate the variety and have found that there really is something for everyone. It’s been an all-round winner really! The financial savings make our team happy and help stretch their salaries. The platform is accessible at all times, even when they are out working, through the app. It has allowed us, as a management team, to remind our team of just how valuable they are and to thank them for everything they do for us. It is always difficult to ensure remote workers feel a close association to the company. Perkbox has helped us to boost employee affiliation with the company and has really helped us to come together as a team! Definitely! We’ve been very impressed by the help and support provided to us by Perkbox, and would strongly recommend it as a benefits platform to others.